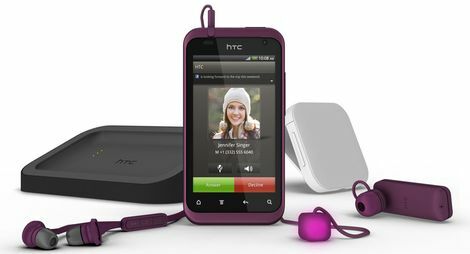 After just now was only known that the HTC Desire S has got the Android 4.0 update, now the next HTC smartphone in the series, including the HTC Rhyme Android gets donated 4.0 with HTC Sense 3.6. Because just like the HTC Desire S and the HTC Rhyme had to wait long for the Android 4.0 update. Just like the HTC Desire C here comes the Android 4.0 update for the HTC Rhyme is not OTA to you, but you need it as a RUU file directly from htcdev.com download and install it manually. The update has a size of 456MB. Here, too, so you have the HTC Rhyme to your PC and from there, then run the Android 4.0 Updatre. Downside to this version of the HTC Rhyme Android 4.0 update is that all your personal data, apps, etc. are deleted. So you prefer a backup before you start the Android 4.0 update. Because otherwise you will just annoy you then. But that probably would be the smallest problem for you, right? So now again today 2 models from HTC, the HTC Desire S and get the HTC Rhyme, the long-awaited Android 4.0 update with HTC Sense 3.6. The users will be pleased that these two HTC smartphone models have not been forgotten by the Taiwanese. Have fun with Android 4.0!